Like most people, I'm not a huge fan of raisins. But, like most people, I LOVE these cookies. It's more than just the sentimental value of them too--more than the memory of going to my Grandma's house and eating these at her kitchen table. 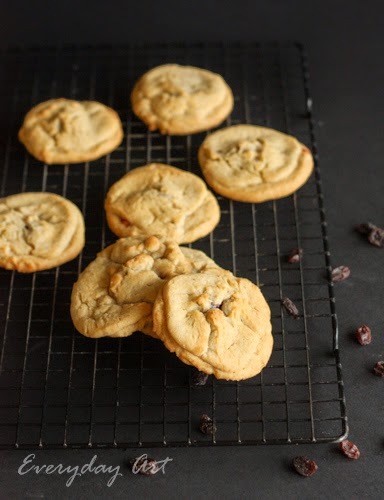 These cookies are truly delicious and the sweet raisin filling complements the cookie perfectly. My daughter calls these cookies "pocket surprise" cookies. This recipe has been in our family for generations. Make some memories with your little ones and whip up a batch this week! Directions:1. Cream shortening and sugar. Add the eggs, water and vanilla and mix well. 2. Combine all the dry ingredients together and then stir into the shortening mixture. 3. Divide the dough in half. Roll each half into long rolls. Wrap in plastic wrap or wax paper and refrigerate for a few hours. 4. Meanwhile, prepare the filling by combining the raisins, sugar, flour and water in a small saucepan. Bring the mixture to a boil and cook until thick. Remove from heat and had the vanilla and nuts. 5. To prepare the cookies, preheat the oven to 350 and slice the dough into rather thin slices, about 1/8 of an inch thick. Place a slice on a cookie sheet and add a tsp. of filling (sometimes I make a little divot in the cookie dough to place the filling into). 6. Place another cookie slice on top and bake until light brown. No need to tell you to enjoy these--there's no doubt you will! These look so wonderful. 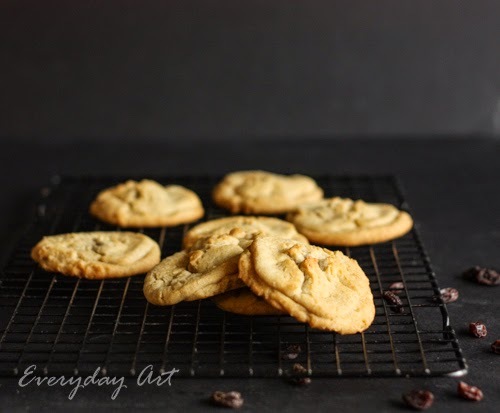 I've made similar cookies, but not with raisins. Going to have to try this one for sure. Thanks for sharing!